I’m a firm believer that, like all forms of marketing, effective social media marketing (SMM) requires a little bit of lateral thinking. Thankfully, there are a handful of innovative, pioneering brands that seem to agree with me. 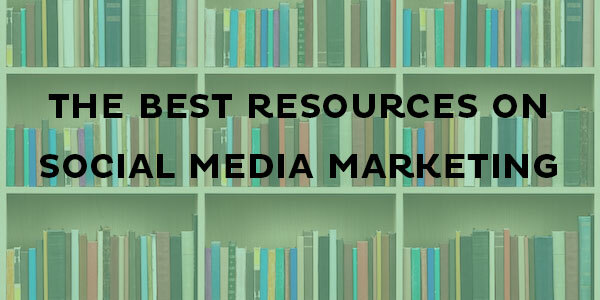 I’ve compiled some fantastic resources from three of the social media space’s most cutting-edge and adventurous brands. The companies covered here do more than offer standalone tools. With their unique approaches and invaluable marketing resources, they’re actively transforming the tenets of effective social media marketing. From the humblest of beginnings, Buffer has managed to transform the social media sphere one innovative step at a time. The folks at Buffer have differentiated themselves with a very clear mission statement: to use their knowledge, experience, and honesty to help their audience in any way possible. They believe social media promotion should be about education and value—not mindless self-promotion—and they’ve developed a diverse stable of tools and resources to help businesses achieve just that. Buffer’s social media management tool BufferApp is one of the industry’s most popular resources, and allows businesses to schedule out hundreds of posts across dozens of social media networks. The Buffer Blog leads by example, growing their own social media presence by sharing hundreds of highly detailed, honest, and downright awesome articles, guides, and blog posts. One of my favorites is their long-form content guide, “Twitter Tips for Beginners.” The company recognizes that not all problems require complicated solutions. This customer-centric approach led to their creation of the free standalone social share bar Digg Digg—a case study in usability and simplicity. Buffer recognizes the need for ongoing innovation and development. As a result, it has formed partnerships with some of social media’s most promising new businesses. From humble beginnings, @Buffer has transformed the social media sphere one step at a time. Content shared on social media has a pretty fleeting lifespan. Tweets in particular have a half-life of just 18 minutes, after which their visibility and engagement start rapidly trending toward zero. Scheduling posts and responding to comments is only half of the battle, and in order to drive meaningful social media engagement, you need to understand how your audience engages with social media. Followerwonk offers a range of Twitter insight tools to help your brand convey the right message at the right time. It allows you to see when your audience is online, and when your followers most responsive to tweets. Thanks to Followerwonk’s partnership with Buffer, your tweets can be scheduled to go out at the optimal time—maximizing the impact of that 18-minute half-life. Followerwonk is also no stranger to long-form content, putting together this fantastic resource about the importance of timing, post scheduling, and smart social media strategies. Klout sets out to provide a measurable metric for one of SMM’s most intangible hallmarks of quality: thought leadership. A brand’s Klout score is derived from over 400 social signals across eight major social media networks. By measuring factors like the ratio of content shared to the number of social media reactions, Klout creates a measurement of how popular and, more importantly, how influential your brand’s social presence actually is. As well as offering a basic metric for gauging SMM efficacy, the company has developed upon this basic premise in recent years. Their unparalleled knowledge of social media influencers allows them to connect brands and businesses to the most recognized thought leaders in their space. Businesses can quickly form useful relationships with other influencers, and improve their content and social media marketing strategies with guest content and syndication. Klout has also implemented a content recommendation system that uses their intimate knowledge of both your past social share history and the responses of your audience to suggest popular and relevant content to share. With these three resources supporting your social media strategy, you’ll be able to post quality, timely, and targeted content that engages your audience. Did I miss any of your favorite resources? Let me know in the comments below.